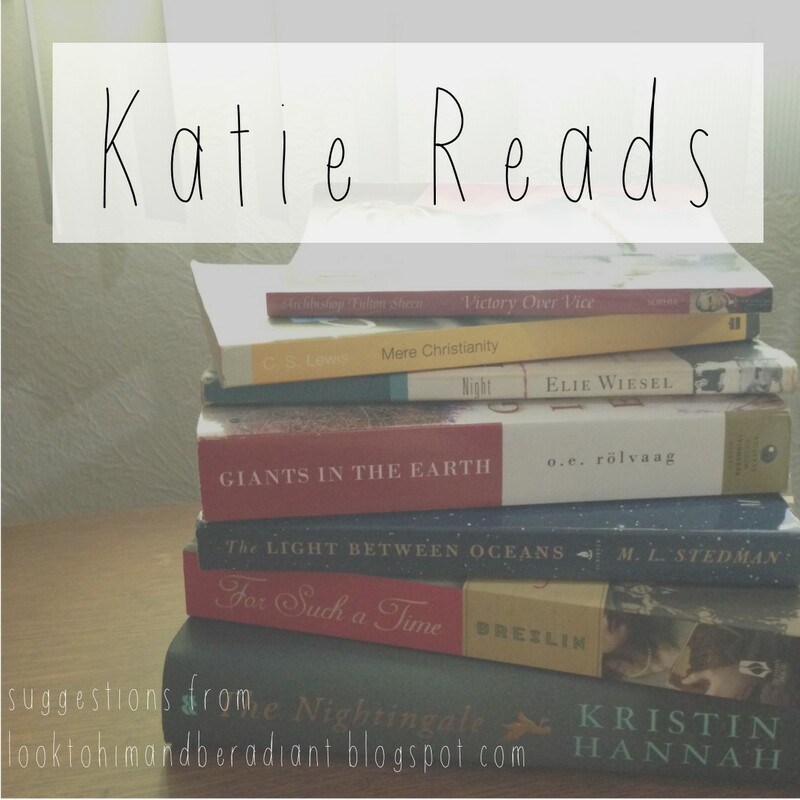 Between Katie Reads posts, being a teacher, and just having a reputation as a book hoarder, I frequently get requests for book recommendations on certain topics. 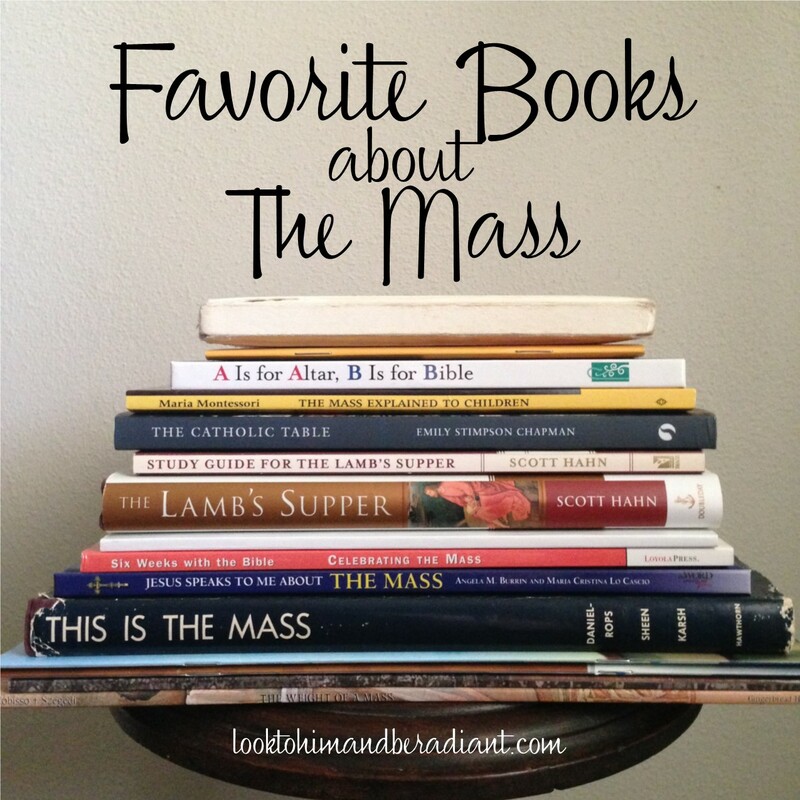 Today I'd like to share some of my favorite books about the Mass for both kids and adults. This book list contains everything from children's missals with the prayers and responses for Mass, Bible studies on the Mass, and picture books that help share themes and lessons about the Mass. There's a little bit of everything, so I hope something new catches your eye and inspires you to learn more. 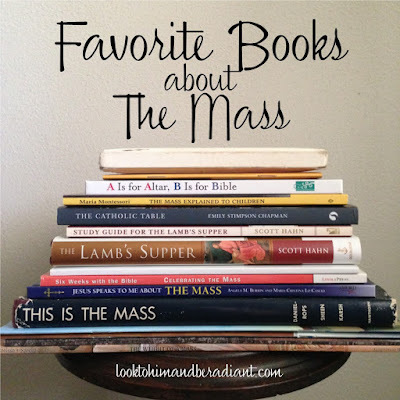 I'd also like to hear about your favorite books about the Mass- please share them with us in the comment section! This post contains affiliate links, meaning if you make a purchase through my link I earn a small percentage at no extra cost to you. Part of one of my favorite series of books, this Mass book takes an original approach to teaching about the parts of the Mass. Each page has a beautiful illustration, a theme, a Bible verse, a first person message "from" Jesus, and a short prayer. The book take stories from the Bible like the Prodigal Son, the entrance into Jerusalem, the angels over Bethlehem, the paralytic lowered through the roof, and many more and connects them to the parts of the Mass. The text is written in first person perspective from Jesus and describes the Mass in a very personal and story-driven way. This is a sweet little ABC book with a holy object, illustration, and Bible verse for each letter of the alphabet. It's a great resource for teaching little ones, but also could be used with older kids for prayer and discussion. I can totally see it as a springboard for an individual or class project creating their own alphabet about the Mass or the Sacraments. This little book came as a sample supplement for my text book series, and I think it would be a great starter Missal for early elementary students. One side is a Mass book, and when it is flipped over it is also a Reconciliation and prayer book. The Mass side contains the words of the Mass with prayers and responses. It also contains a nice diagram of a church and a well done combination of illustrations and photos. This little Mass book is a simple but thorough children's missal, containing all the prayers and responses of the Mass. I really like the modern cartoon style illustrations and the small size. This would be a great resources to have in a class set or available for families in the back of the church. If your home or classroom doesn't have a copy of this book (and its companion Take it to the Queen) it is time to add it to your library. A detailed original fable filled with symbolism and allegory, this story of a Eucharistic miracle in an ancient kingdom can be enjoyed by young children but also discussed in depth with older children. And the illustrations are just so, so lovely. I use this in my classroom as a part of our Fairy Tale & Fable unit, showing the kids how traditional stories can reveal so much truth about our faith. This fictional story based on legends about the life of St. George is not directly about the Mass, but is about the theme of sacrifice and salvation. This book would be a great discussion or journaling resource during a unit on the Eucharist. I know that the title directly says that it is for children, but I think adults could also benefit from reading this little book. The introduction for adults packs in some thought provoking material about the religious education of the young child. The rest of the book is filled with child friendly, but rich, descriptions of the Mass including simple line drawings of the Mass articles. Although because of the age of this book (published in 1933) it is about the Latin Mass, its value for today's kids holds true. The author provided me with a copy of the Catholic Field Guide in exchange for an honest review. This new book is a 156 page treasury of articles used in the Mass and other Sacraments. Perfect for anyone who is ready to learn about about the names and purposes of these sacred items, it could be used with early elementary aged students as an introduction and even all the way up to for adults who want to learn the difference between the cassock and the chasuble or the paten and the pyx. I wish that I had this earlier in the year during our unit on the Eucharist, but will be glad to add it to our collection of books on the Mass. Organized by color coded categories with a convenient index in the back, each item has a watercolor illustration and detailed description that is very user friendly. She even has a companion book called My First Book of Catholic Pictures for little learners. Perfect for church tours, Sacramental years, RCIA candidates, Liturgical Ministers, or any curious Catholic, this handy guide is certainly a welcome tool for any classroom or home. These coloring books are filled with great coloring and activity pages about the parts of the Mass, Jesus' teachings on the Eucharist, Saints, and more. These books would make a great supplement to the Brother Francis DVDs. 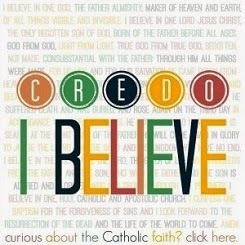 The New First Mass Book by Catholic Book Publishing Co. This book wasn't originally on my list to share, but I discovered that there is a new edition in print. The pictured copy above is actually my childhood Mass book. It has little 2nd Grade Katie's handwriting inside, and includes the parts and responses of the Mass, stories from the life of Christ, prayers, a preparation for Reconciliation. It would make a lovely gift book. This book has had the most influence on my understanding of the Mass out of anything I have ever read. 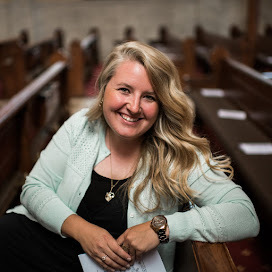 Dr. Hahn ties together Old Testament symbols, the Last Supper, the early church, and the details of the Book of Revelation, showing how the Mass ties together all of history and eternity. The study guide is a great resource for personal in depth study, but I've also used it before as a springboard for small group discussion. I cannot recommend this book enough. Speaking of books I can't recommend enough, The Catholic Table is phenomenal. I wrote about it in this Katie Reads post, but its topic of food, family, hospitality, and the Eucharist warrants a place on this book list. Reading this book would certainly develop your understanding of the Mass and all that it offers us. This book is another solid resource for personal or small group study on the Mass. Broken into six weeks of reading material and corresponding questions, it cross references Scripture from Old and New Testament to unveil the meaning of the parts of the Mass. If used for a group study, it already has opening questions, personal reflections, readings, discussion questions, and closing prayers ready to go, making it a great resource that is usable with little prep. 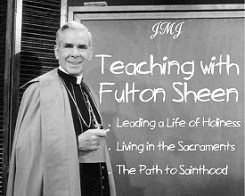 I finally found an affordable copy of this out of print book to add to my classroom Fulton Sheen resources. Part of the This is the Holy Land, This is Rome, and These are the Sacraments series, this book combines the writing of both Fulton Sheen and Henri Daniel-Rops along with the stunning photography of Fulton Sheen celebrating Mass by Yousuf Karsh. Each part of the Mass has a 1-2 page explanation and a full page high quality photograph. This book was also published before the new Roman Missal, but the descriptions specific to the Latin Mass don't take away from its usefulness today. I am excited to use this with my students this year. I love my varied collection of books about the Mass and hope to keep adding to it. What are some of your favorites? Katie - you are being very modest. One of my favorites is your own Mass book for older kids here on your website. I have never had so many positive comments from something I sent home with 9th graders - even had others asking if they might have one, too! For younger kids, and especially for grandparents who babysit grandchildren who are unfamiliar with the Mass, I love the book with cd "Don't Drink the Holy Water" by Fr. Joe Kempf, and "We go to Mass" from 23rd pub. by Christine Way Skinner. Eva, you are super sweet :) I didn't even think of that! And I love Fr. Joe Kempf- totally forgot about those books! They are great! We love his DVDs too (and previously the super old VHS) and have used them for years in Sacrament prep. Love your posts! I am an administrative assistant in the Children's Faith Formation office for a large parish. I personally LOVE The Weight of a Mass, and have it at home for my own children. I look forward to exploring your other selections. Have you ever read or done the study called A Biblical Walk through the Mass, by Edward Sri? I found it to be an amazingly informative book which gave me not only a better understanding of the Mass, but deepened my experience of the Mass in totally unexpected ways. Let's just say that before that book, I didn't know how much I didn't know!!! Again, thank you for all your fantastic resources. I am constantly pointing Catechists to your blog for ideas. You rock! I so so love the Weight of the Mass too! I am familiar with a Biblical Walk through the Mass- I forgot about that Bible study! It is a good one. Thanks for sharing!